I suppose it's because of my training as a graphic designer that I am a sucker for anything that has to do with typography. 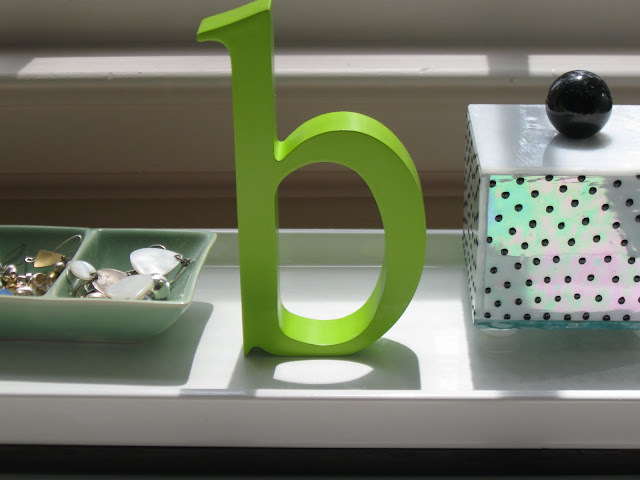 I love to use type throughout my home…it just makes me happy. This R was one of my first finds...it was from Ballard Designs a few years back. The OY was a gift from my friend Donna. 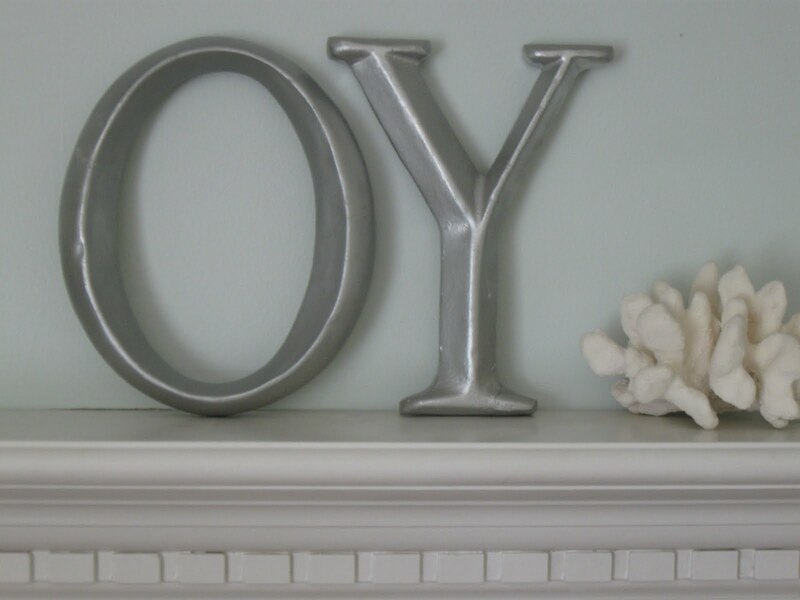 She bought two JOY's during the holiday season--she gave me the OY, kept the other OY for herself and used the JJ to hang above her dog's bed. (who's name was JJ)! I was recently at Barnes and Noble and spotted this near the checkout. 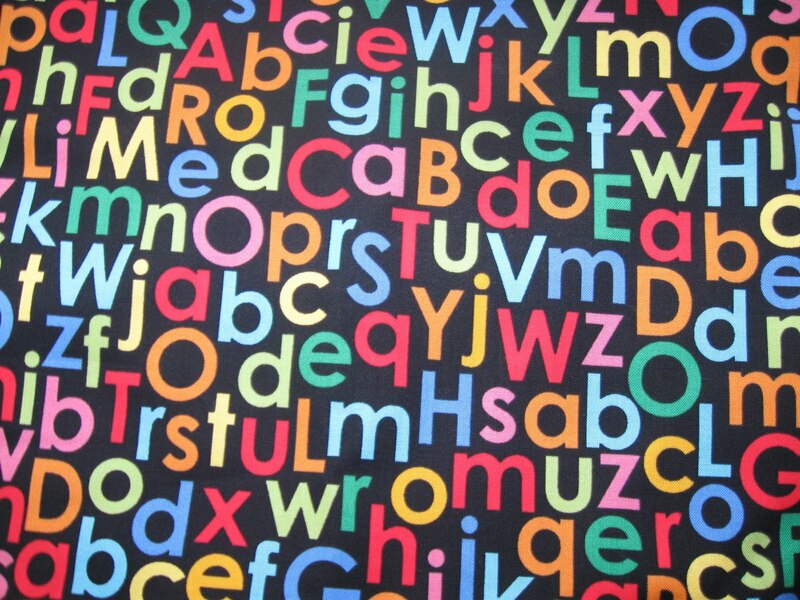 I am painting chairs for the grandchildren and plan on making seat cushions with this cute alphabet fabric. Stay turned to see the finished project! This ampersand is a paperweight I keep on my desk. 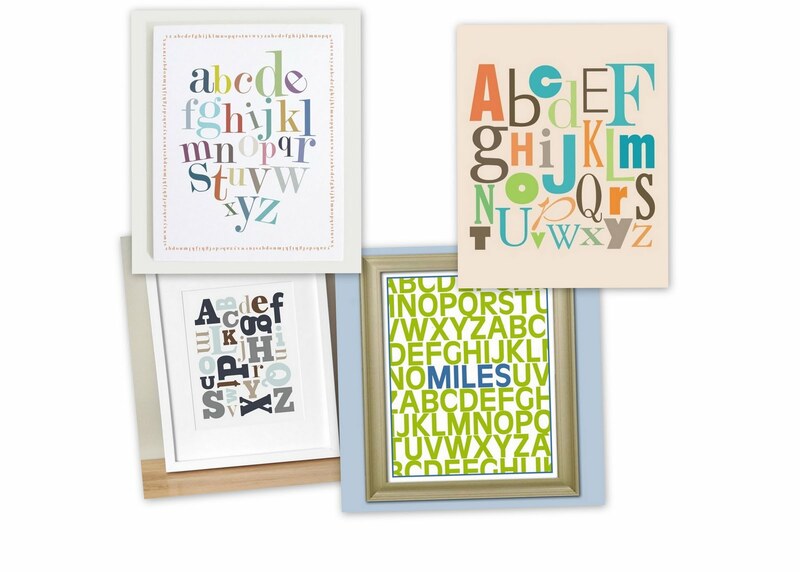 I adore the many alphabet prints and posters on Etsy.com. They would be charming in a child's room. You can check them out here. A) PHEW! We just got (what I thought was) a cool "S" covered in moss for our living room. This post makes me feel like it was a "good" move. Thanks, Savta! B) Beyond OBSESSED w/ Etsy. 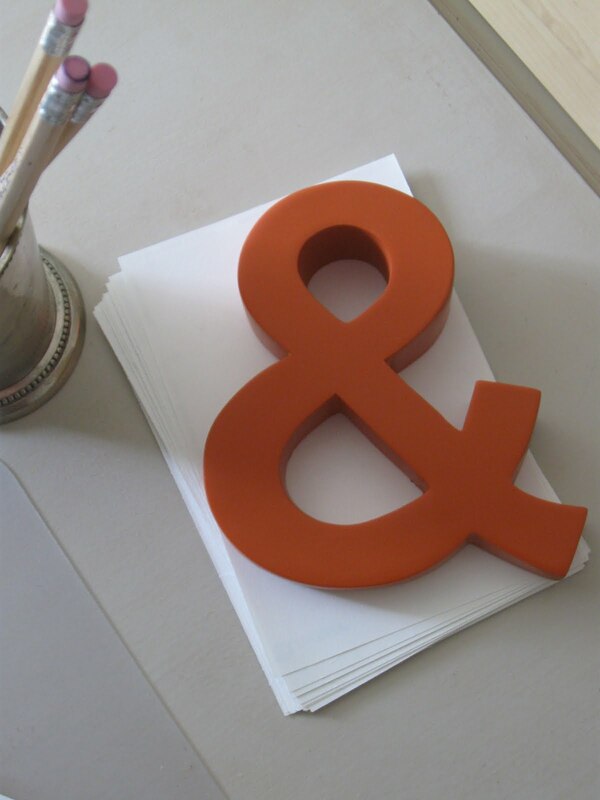 C) It's also making me regret going w/ the "S" instead of the ampersand. Hm.